I just learned that Google has plans to release a mobile phone in January 2010. The phone, named 'Nexus One', is gearing up to be a major competitor of the iPhone. Additionally, the phone will not come equipped with a service plan, which means users will have the option to select a carrier. I'm not sure how this will work, but Google's move is an exciting one for those of us interested in gadgets. The purchase price is also unclear at this time. I have read that it could cost up to $600, but that information comes from an unofficial source. Overall, we should take this opportunity to think about the future of the web and technology. We see wireless, netbooks, and mobile devices growing in popularity. Not only does it help serve our personal needs, but they aid to address business functions as well. As one involved in web development, I am seriously considering how I might help North Carolina Central University ready itself for the change. For those interested in mobile devices, what are your thoughts about Google's phone? How do you think this revelation will change the industry? Web development? Higher education? Business? 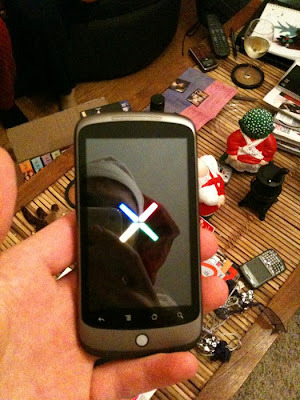 How might the Nexus One win over the iPhone?